HUOM! Kirjan sivulla 139 on virhe. Katso alta liitteenä oleva kustantajan tiedote ja korjaus. 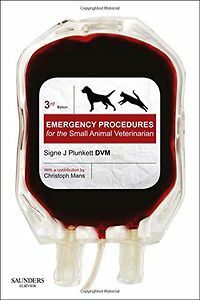 Small animal veterinarians of all specialties and at all stages in their careers will find the new edition of Emergency Procedures for the Small Animal Veterinarian their invaluable one-stop shop for the information they need to provide optimal patient care in an emergency situation. Readers familiar with the previous edition will be pleased to see the text comprehensively updated, with much new content and many new features including an all-color design to make finding information easier than ever. Those coming to the book for the first time will appreciate its clarity of structure, its concise and practical approach and its step-by-step presentation of key information, all of which will prove their worth time and again in each new emergency, whatever the species. 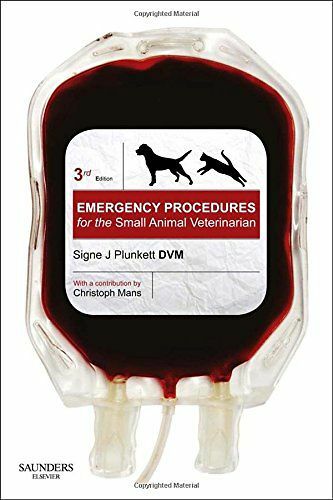 For those working as a solo doctor in an emergency practice, Emergency Procedures for the Small Animal Veterinarian third edition will fulfil the role of a substitute colleague when further information is needed quickly. No small animal clinician will want to be without a copy. The new edition of the hugely successful "Emergency Procedures for the Small Animal Veterinarian" gives you all the information you need to form a diagnosis quick and accurately, establish a prognosis and recommend treatment for a patient suffering and illness, injury or toxic event. Easy-to-read bullet-point text gives quick access to the most essential information needed to treat emergency cases quickly and efficiently. Loads of practical appendices of commonly used drugs and supplements, drugs in special circumstances (e.g. safe drugs in pregnancy, drugs to avoid in renal failure, etc. ), clinical chemistry and laboratory data, conversion tables, and many more, are included for easy reference to essential data. With step-by-step coverage of cardiopulmonary emergencies, trauma gastrointestinal emergencies, toxicological events, a greatly expanded chapter on exotic pets, and much more, "Emergency Procedures for the Small Animal Veterinarian" gives you the facts you need to help you save more lives faster!